What kid doesn’t love balloons? Okay, so there must be a few, but generally kids like balloons. I know my kids try to take every balloon from every celebration we attend, whether or not the celebration is for them. Usually the only lessons they learn from balloons is to hold on tight and not sit on them. 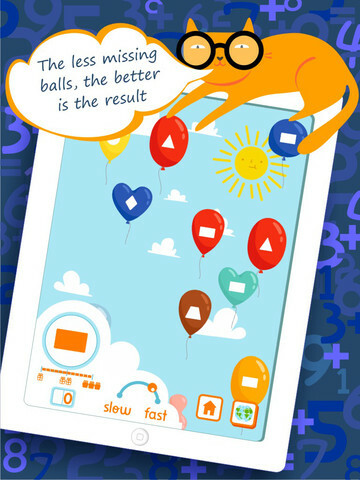 Catch A Figure is a great early learning app that uses balloons to learn slightly different – and much more useful – lessons about shapes, colors, numbers, and letters. For each section players are presented with a specific item (the letter “A”, a square) and directed to pop each balloon containing said item, without letting them float out of view of the screen. The speed can be adjusted according to the player’s skill and age. After each round is a “relaxation” exercise where players are presented with an animal to place in an African desert. The animals can be fed, played with, or given flowers, and it gives kiddos a chance to rest their brain a minute before starting the next learning game. Speed and skill levels are recorded and displayed in a side-by-side graph comparison for parents to track. The game is intended for ages 2-6 but my nearly-3-year-old enjoyed it much more than my 5-year-old. Even when I increased the speed for my oldest he still wasn’t engaged enough to want to keep playing. My youngest had a blast, though, so keep that in mind if you have an age gap similar to ours between your little ones. 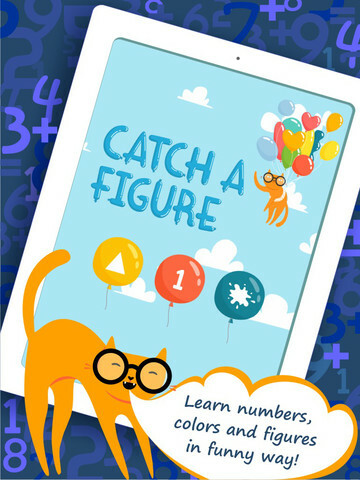 That said, $1.99 is a fair price if you make sure that your kiddos will really enjoy and learn from Catch A Figure. Keep in mind that the age recommendation on this game really should be 2-4 as the 5+ crowd might not be challenged enough. However, for the right children this game is a fun and easy way to learn object recognition. Amazing app for little kids! Isn’t it? 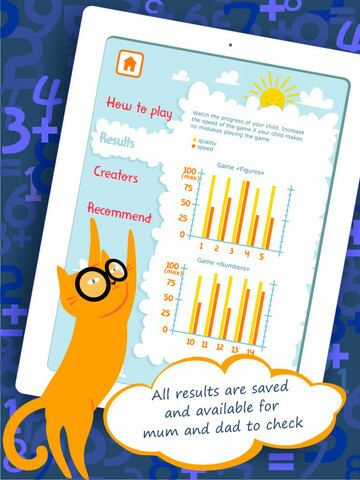 Make sure to check out Leo’s Birthday Card Maker too – it’s our Free App of the Day!